Sri lankan Apparel categories span Sportswear, Lingerie, Loungewear, Bridalwear, Workwear, Swimwear and Childrenswear. 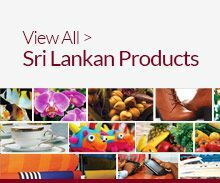 These products are manufactured and exported with the flexibility of catering to specific seasons of many countries around the world.USA and the United Kingdom have historically been the largest buyers of Sri Lankan apparel throughout the decades. Sri Lankan apparel has evolved from traditional exports and tailoring designs to providing sophisticated solutions, creativity and experience in BPO services, Fashion, R&D and Innovation Centers bridging the country’s gap between developing and developed. The country has the highest apparel exports per capita of any exporting nation in the region. Sri Lankan Apparel Manufacturers & Suppliers' long term relationships with reputed multinational retailers who have identified standards of manufacture and compliance have led to economic sustainability.